Strawberry cupcakes with marshmallow buttercream are moist strawberry-sweetened cupcakes topped with fluffy marshmallow buttercream frosting. According to the calendar, we still have a few more weeks of summer left on the books; however for those of us living Up North, we know that our days of warmth could very well be numbered. Come September here on the 45th parallel, we start thinking about getting the snow tires rotated back on to our 4 x 4s. Sad, but true. Being the week before Labor Day, I am firmly planting my feet in the summer season, celebrating as many days of warmth and sunshine as we are afforded before the inevitable chill sets in. And around here, all good things are celebrated with cake. Actually, all things around here are punctuated with cake, if I’m being honest. Cake is Universal. But a sweet, summery strawberry cake with a fluffy, vanilla bean-y, marshmallow-y buttercream? That’s just the sort of thing that’ll put a cheery spring in your step as winter looms in the distance–you can quote me on that! To make the strawberry cake, gather a little granulated sugar, cake flour, 2% milk, good quality strawberry jam, unsalted butter, strawberry flavored gelatin (optional,) vanilla extract, baking powder, and salt. 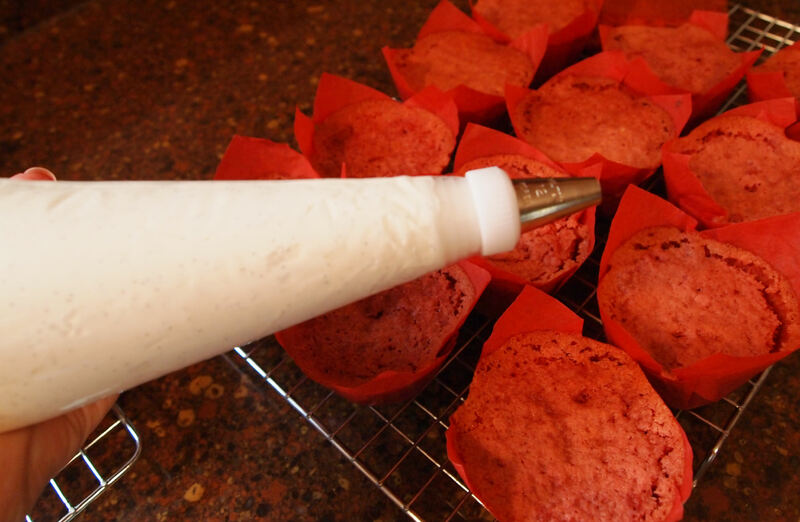 Preheat the oven to 350º F. Line the wells of 24 muffin cups with cupcake wrappers. 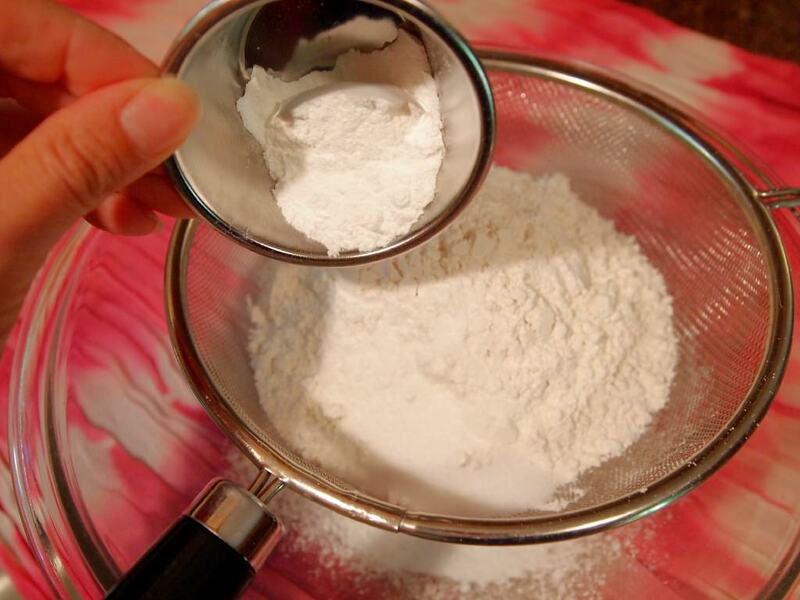 Place the cake flour, salt, and baking powder in a large mesh strainer set over a bowl. Combine the leavening with the cake flour by tapping the mesh strainer until all has been sifted. 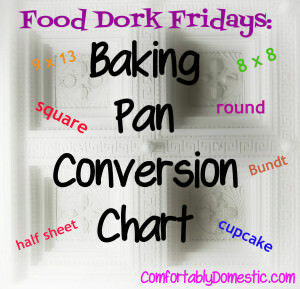 Food Dork Trivia Alert: Why use cake flour instead of all-purpose flour? 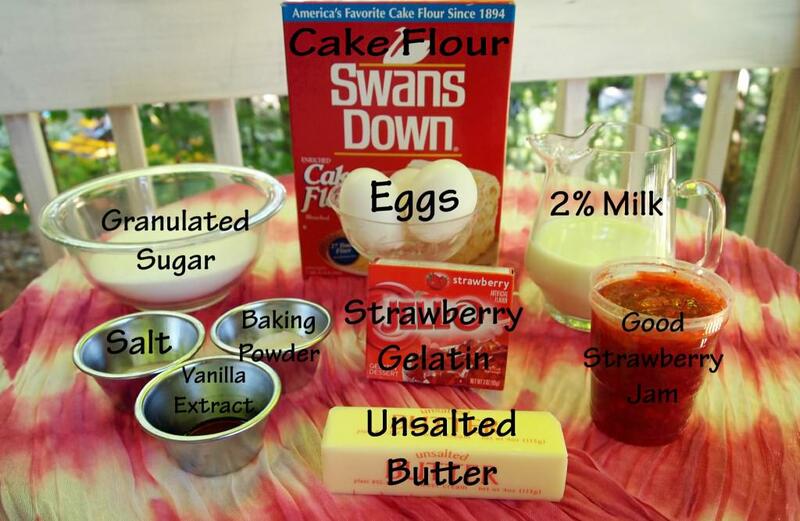 Well, although I tend to use all-purpose flour for most sweet baking applications, in the case of strawberry cake, I opt for the lighter-textured cake flour so that the cake batter doesn’t end up too heavy after the addition of the strawberry jam. 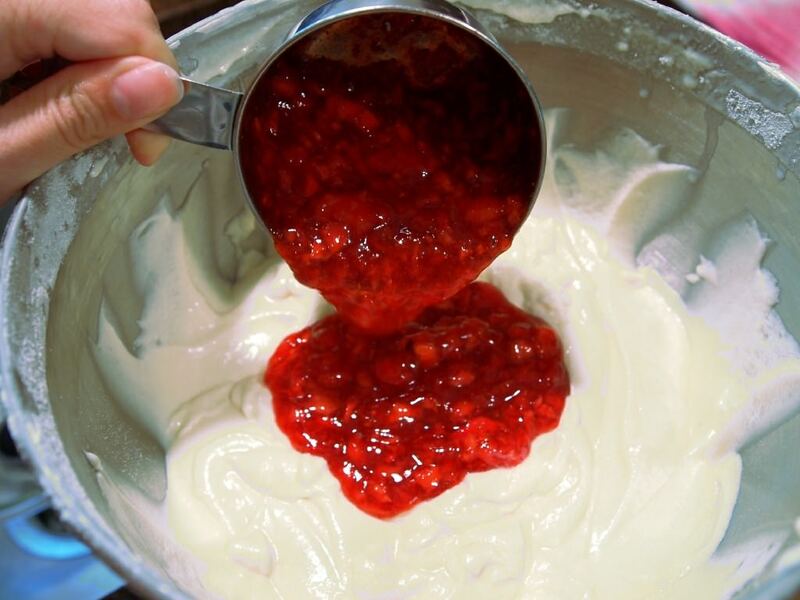 Since the jam is a sticky, dense liquid, it will weigh down the batter, causing the leavening agents (i.e. ; the baking powder & salt) to work even harder to get it to spring back up while baking. 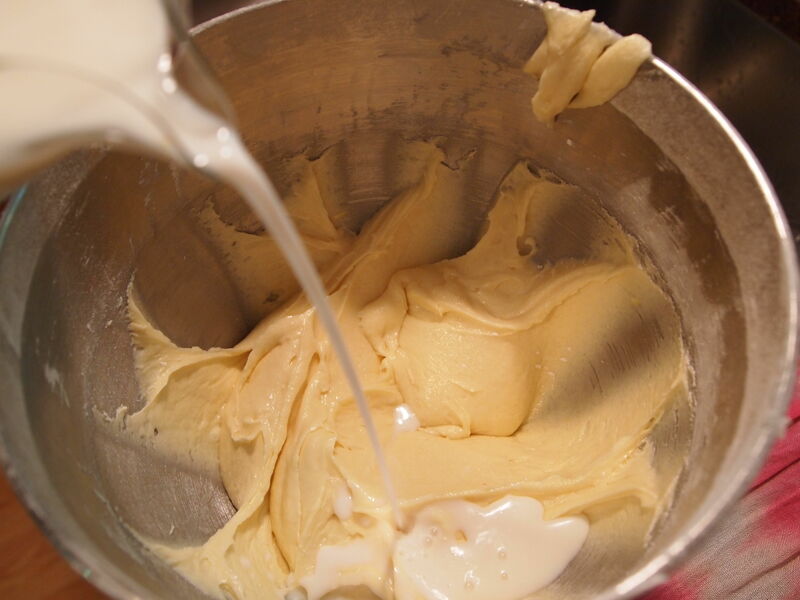 Heavy cake batter = a dense, flat cake. 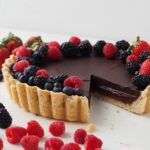 While you could just add more leavening to counteract the weight of the jam, doing so could give the entire cake a metallic/bitter aftertaste. 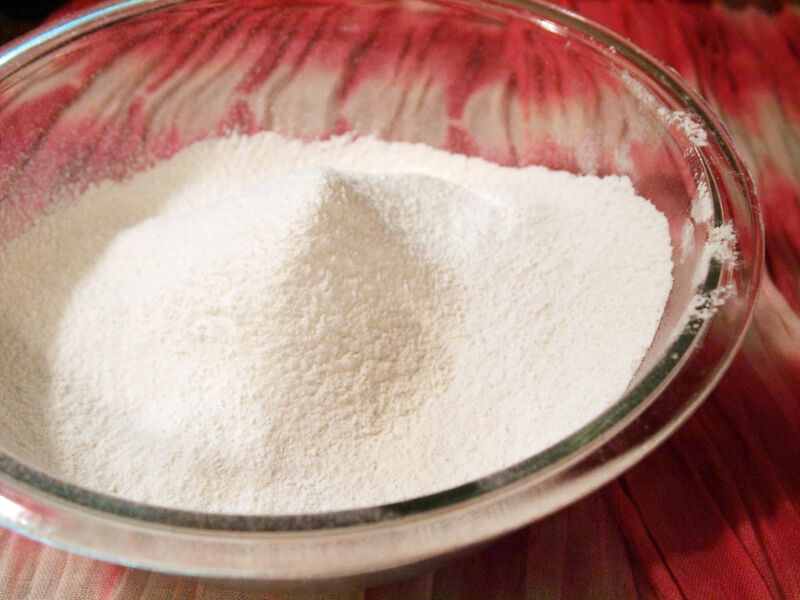 If you’ve ever eaten a bite of cake or a cookie in which the leavening wasn’t evenly incorporated, and tasted a clump of baking powder, then you know what I’m talking about. Blech! If you’d like to know more about the differences of various types of flour, I did a post on flours that I commonly use in baking over here. Cream the butter and sugar together before adding the vanilla. 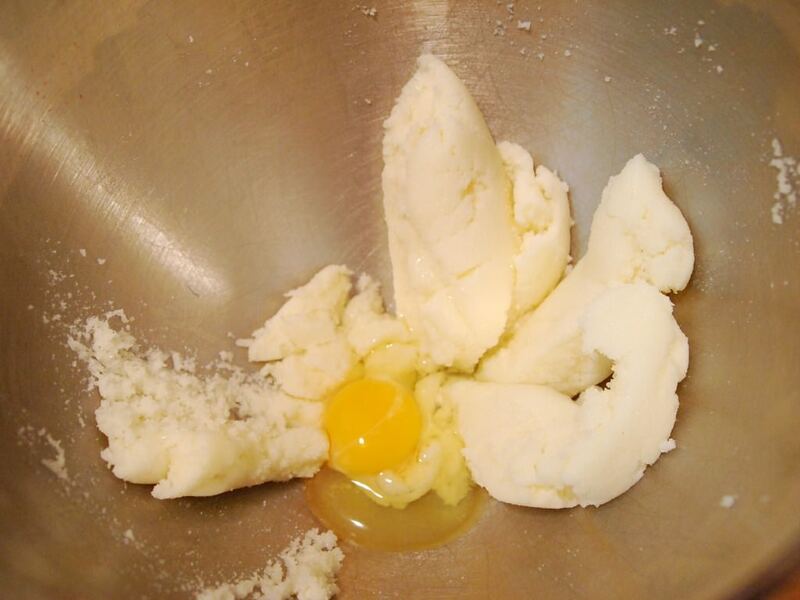 Then mix in the eggs, one at a time, until incorporated. Add one-third of the flour mixture to the bowl, and stir to combine. Keep the mixer running on low speed while slowly pouring in one-half of the milk, mixing it in until just incorporated. Repeat the process of blending another one-third of the flour mixture, then the remaining milk, and finally the last of the flour mixture. Add the strawberry jam to the strawberry cupcakes batter. The jam used in the cake makes all the difference, as it is what gives the cake the majority of it’s flavor. Be sure to use a good quality, fresh-tasting jam. If you happen to make your own jam, use it. Otherwise buy the stuff in the fancy jars with the faux-handwritten labels, or whatever you would serve to the Duchess of Cambridge if ever she were to come over for tea & scones. I certainly couldn’t leave all that talk about fancy-jam without following up with a bit of whimsy, and nothing says whimsy like strawberry Jell-O. Adding a tiny bit of strawberry flavored gelatin punches up the flavor of the cake while making it a nice shade of pink. I’ve made strawberry cupcakes and cake many times without the strawberry gelatin, so if the mere thought of Jell-O makes you break out in hives or something, then by all means skip it. Fill the prepared cupcake wrappers 2/3 of the way full with the cake batter. Bake in the preheated 350° F oven for 18 to 20 minutes, or until the cupcakes are just set in the middle. Take the cupcakes out of the oven and let them cool in their pans for 5 minutes before removing them to cool completely on a wire rack. While all this strawberry cupcakes business is going on, make the marshmallow buttercream frosting. I have a confession to make…I hope that you won’t think less of me after you hear what I have to say. I’m not a huge fan of frosting. Allow me to explain…for me, it’s all about the cake. 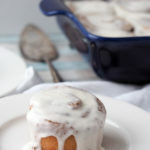 I think that most frosting is so intensely sweet that it kind of ruins the whole experience for me. Don’t get me wrong, I have several really good buttercream recipes that I will eat right out of the bowl with a spoon, but they have to be subtle and well balanced. This marshmallow buttercream is very much in balance–real vanilla bean tempers the sweetness, and the marshmallow creme makes the whole affair so light & airy–the perfect accompaniment to strawberry cake. 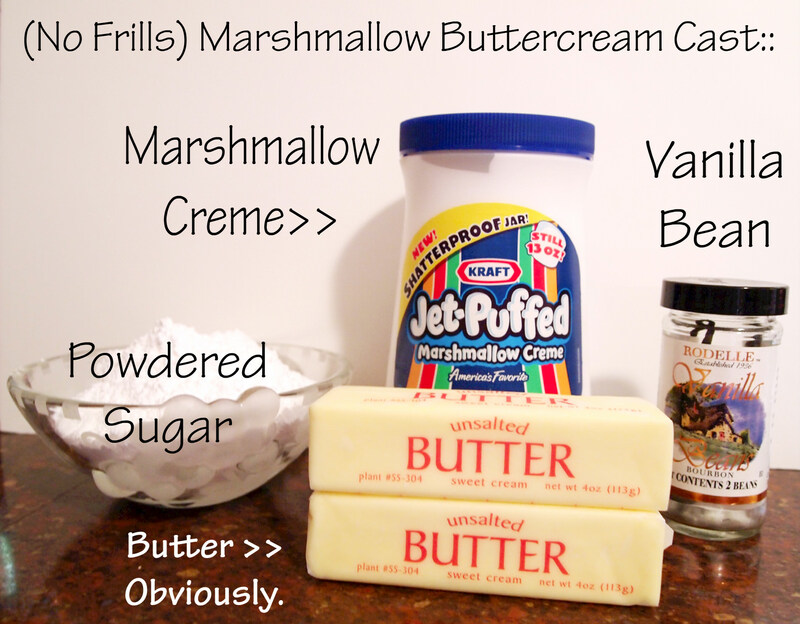 Marshmallow Buttercream is simple to make with powdered sugar, marshmallow creme, a vanilla bean, and unsalted butter. Place the butter into a large bowl. 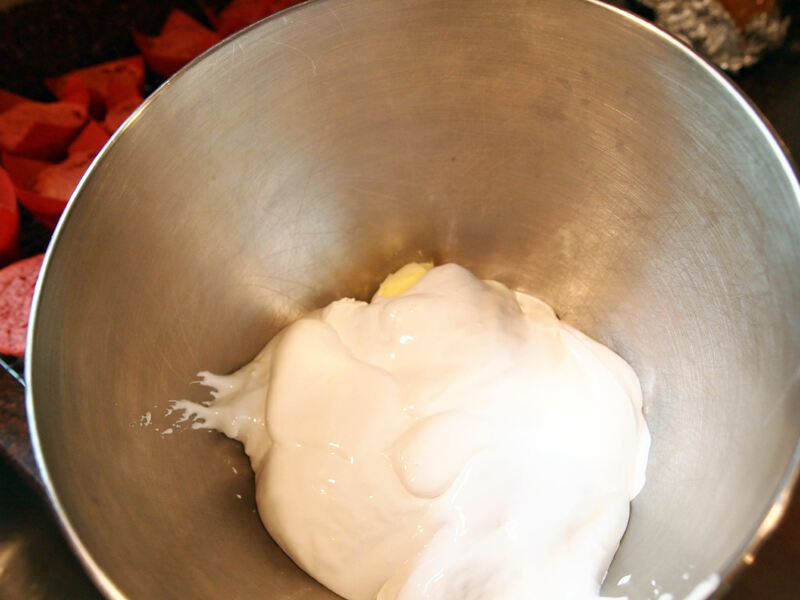 Run a rubber spatula under warm water and use it to remove the marshmallow creme from the jar. The warm water will help keep the marshmallow creme from getting too sticky and unruly. 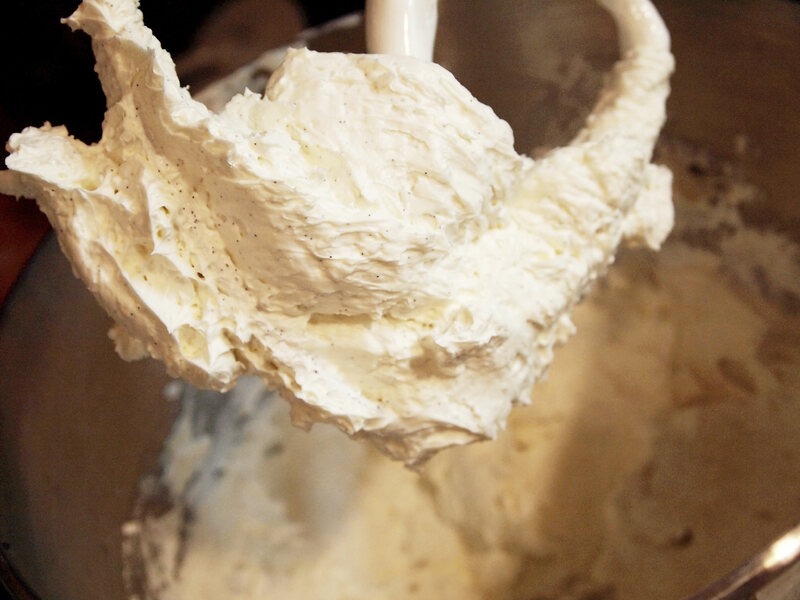 Beat together the butter and marshmallow creme until fluffy. Gradually add the powdered sugar, mixing well to incorporate after each addition; scraping down the sides of the bowl, as needed. 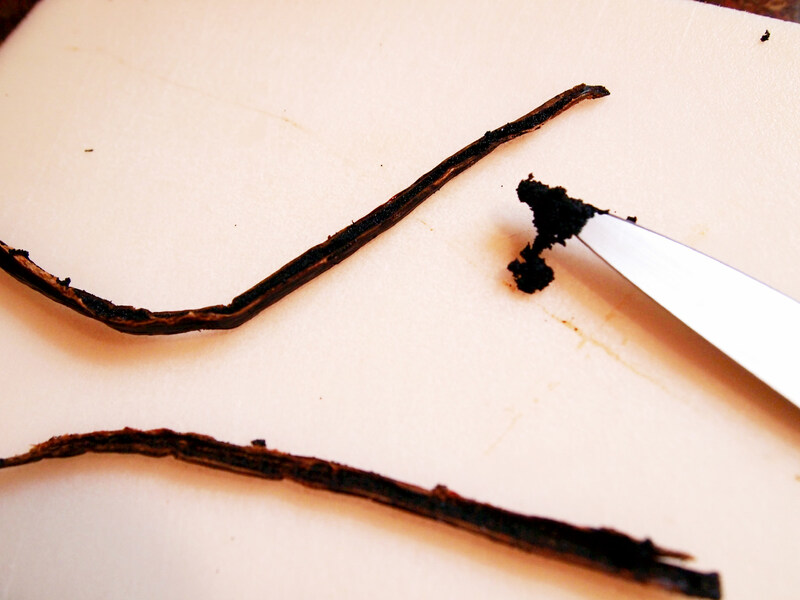 Run a paring knife lengthwise along the vanilla bean to halve it. Gently scrape out the “caviar” inside the vanilla beans, and add it to the frosting in the bowl. Wait! 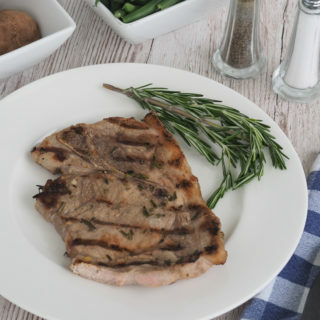 Don’t throw away the vanilla bean hulls–they’re useful in all sorts of tasty things! Give the sides of the bowl a final scrape-down to ensure that you don’t leave any of that lovely vanilla bean caviar in the bowl. Fill a piping bag with the marshmallow buttercream, and affix your tip-of-choice. I used a Wilton #12 tip. No piping bags? No problem! A similar effect can be achieved by using a plastic zip top bag, and cutting the bottom corner off. Or you could just use a small spatula. Whatever works. Just have fun decorating your strawberry cupcakes! 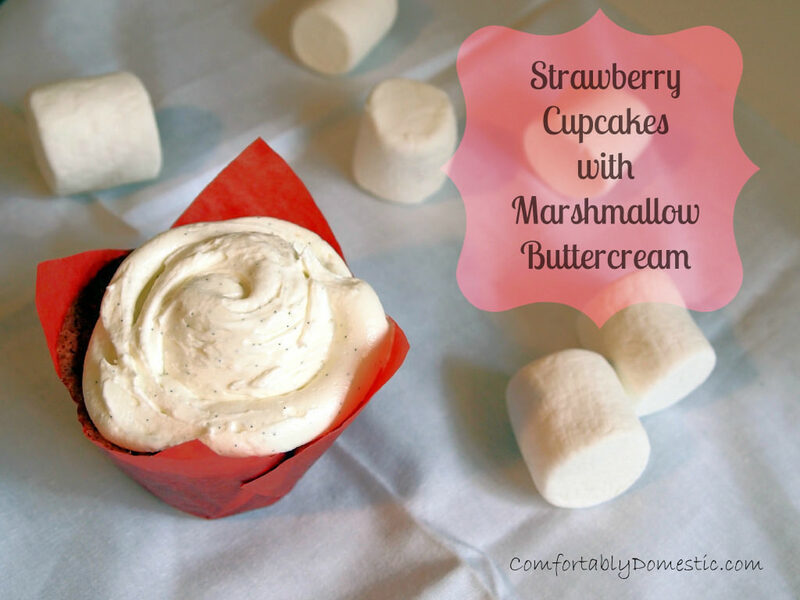 Join me in celebrating summer with Strawberry Cupcakes with Marshmallow Buttercream. Quick! Before it starts snowing up here! Preheat the oven to 350 degrees. 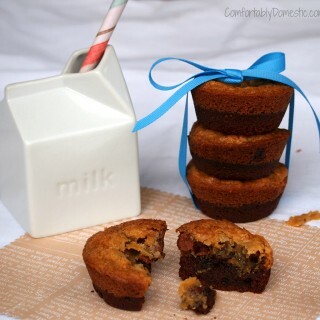 For cupcakes: line 24 muffin cups with paper liners. Set aside. In a large bowl, cream butter and sugar together until light and fluffy. 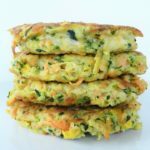 Mix in eggs, one at a time, until they are well incorporated. Sift together flour, salt, and baking powder over a large sheet of parchment (or waxed) paper. 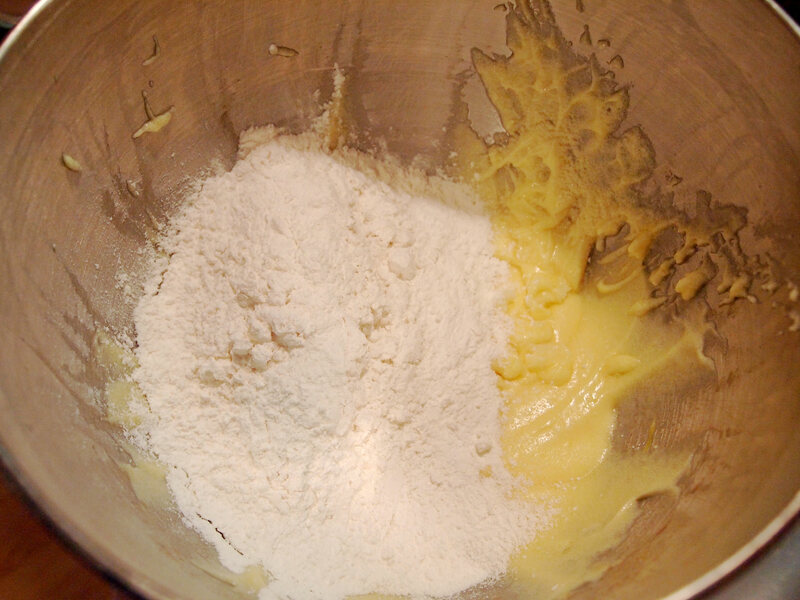 Add 1/3 of the flour mixture to the creamed mixture, mixing until blended. Then, with the mixer running on low speed, slowly pour in ½ of the milk mixture, stirring until incorporated. Scrape down sides of bowl, as needed. Repeat the additions by adding another 1/3 of the flour mixture, followed by the rest of the milk, and ending with the last 1/3 of the flour mixture, stirring well between each addition. Add the vanilla extract and strawberry jam into the batter. 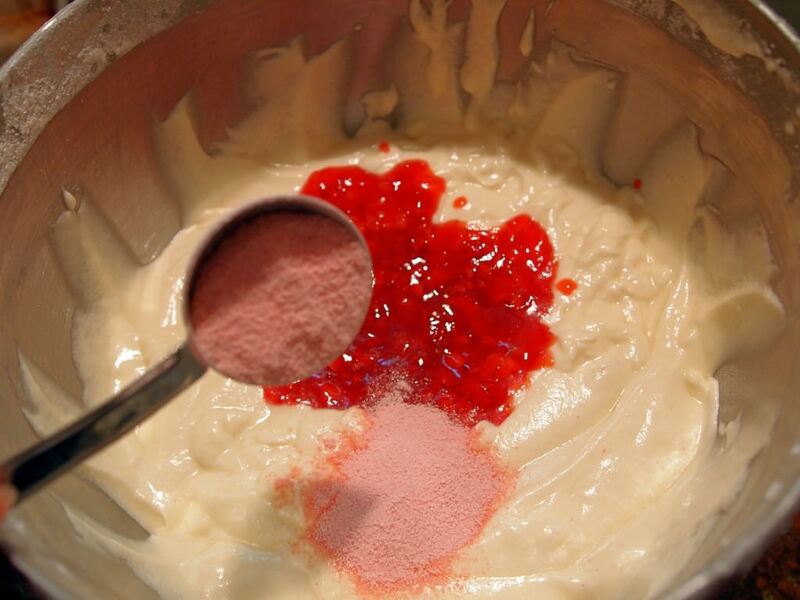 Mix on low speed until jam is fully blended into the batter. Sprinkle in the powdered strawberry gelatin, if using, and stir to blend into batter. 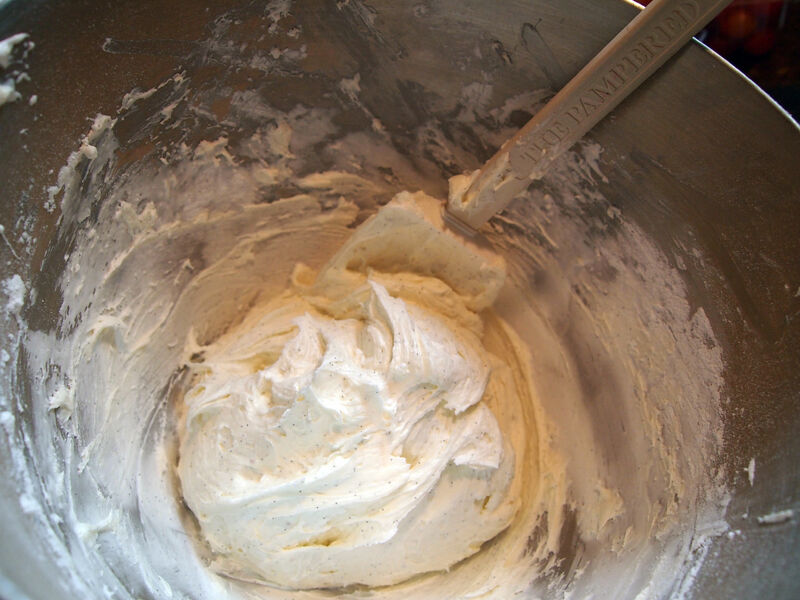 Fill the prepared cupcake cups 2/3 full of cake batter using a large scoop. For best results, use level scoopfuls of batter to avoid the batter overflowing the wrappers when the cake rises during the baking process. Bake cupcakes in the preheated 350 degree oven for 18-20 minutes, or until the cupcakes are set. A cake tester inserted in the centers should come out clean. Cool for 2 minutes in the pan before removing cupcakes to a cooling rack to cool completely. 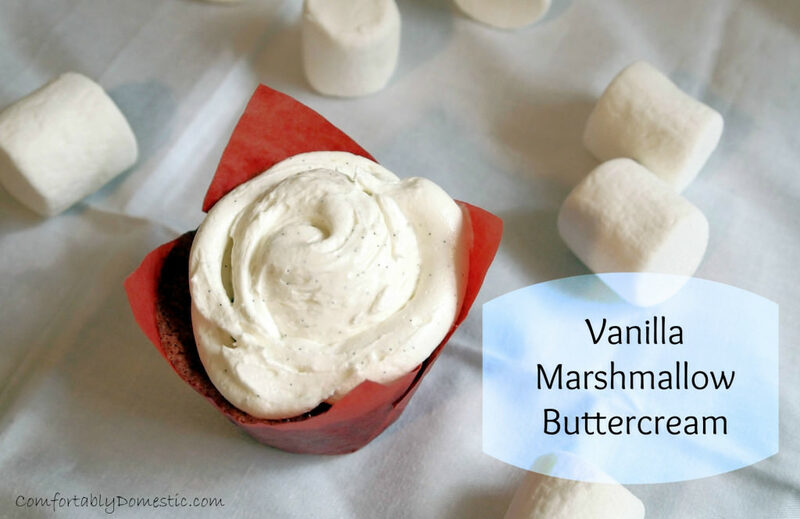 Frost cooled cupcakes with Marshmallow Buttercream, or another favorite frosting. 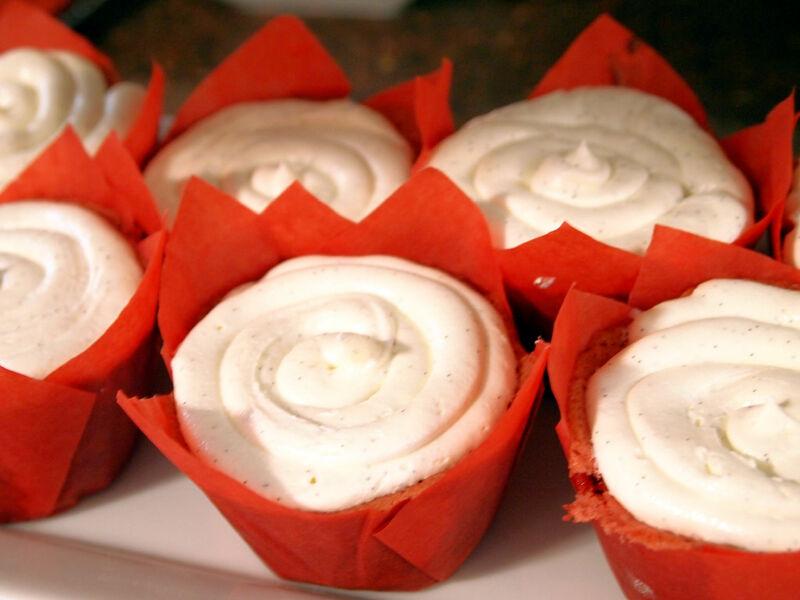 Leftover cupcakes can be stored in an airtight container in the refrigerator for up to 3 days. Whip butter and marshmallow crème together until combined. Slice the vanilla bean hull lengthwise down the center, and then scrape the internal caviar from the inside of both sides of the hull. Place the vanilla caviar to the crème mixture, stirring to distribute throughout. 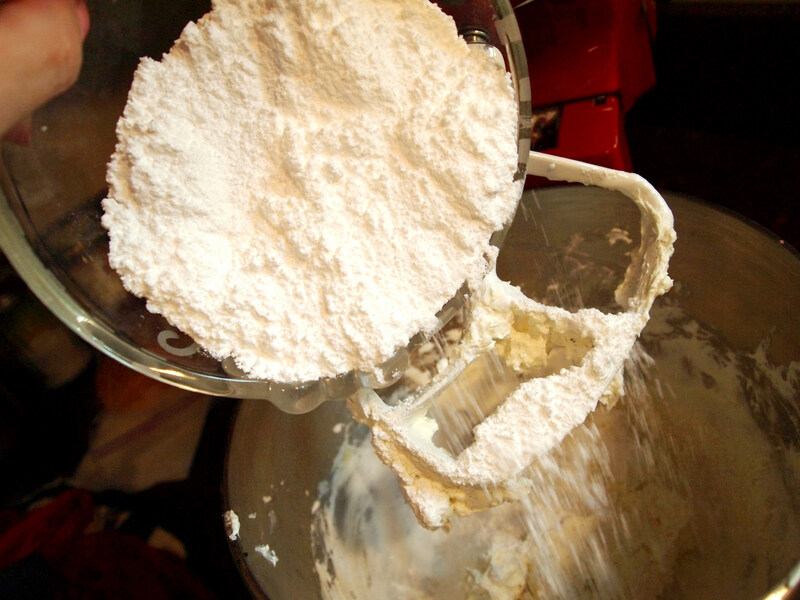 Mix in the sifted powdered sugar, one-half cup at a time, until all of the sugar has been incorporated. Makes enough frosting to generously cover one 8-inch layer cake, one 13 x 9 x 2-inch cake, or 24 cupcakes. Cake recipe makes two 8-inch rounds, one 13 x 9 x 2-inch, or 24 cupcakes. Two 8-inch round cakes will bake for between 30 to 35 minutes; a 13 x 9 x 2-inch pan will bake for between 38 to 40 minutes. Frosting recipe makes 3 1/2 cups. 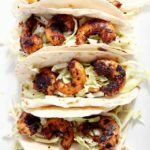 Previous Post: « Crepe Week Wrap Up and a WINNER! Well, I tried it but made a million substitutions and it ended up coming out as a raspberry lemon cake with whipped cream and strawberries. I took it to school and the children really loved it. 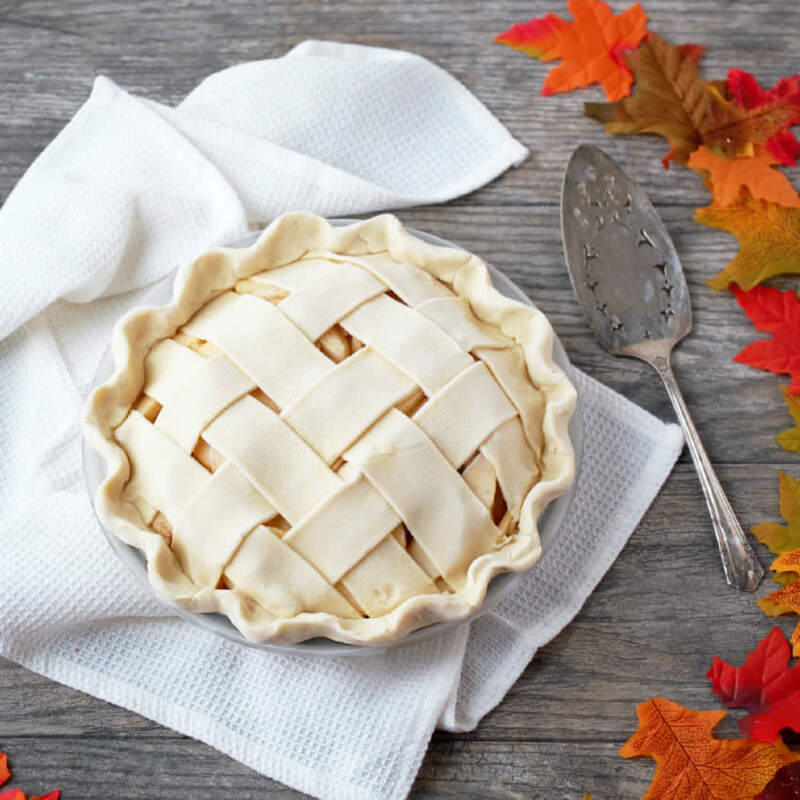 I'm baking this for my kids at school for after Christmas! I'll let you know how it turns out. Yummy. I just got a jar of blueberry jam and was looking for something to bake with it. And about the frosting......I simply eat cake for the frosting. I actually crave frosting sometimes and have to whip up a batch and eat it on Graham crackers. Since I crave cake, we'd get along just fine, Sara J! ;) I hope you like the blueberry cake. These cupcakes are just. YUM. I need to try this frosting. How I know we will be forever friends: Because I only require the people closest to me to like cake. If they despise the frosting, or only have a lukewarm relationship with it, it means there's more for me. I'm still trying to wrap my mind around the fact that you made frosting with marshmallows (or creme). Holy yum! As you know, I can't get enough of strawberries this summer and this cake looks like winner winner chicken dinner. I'm still not fully adept at cake-making, but the mallow frosting looks like something I could handle. 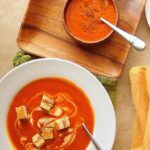 Stop posting recipes with all my favorite things in the titles. My yoga pants are going to be too tight! 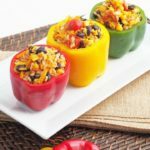 These sound amazing. What's better - TH hates marshmallow, so these can be ALLLLLLLLLLLLLLL MINE! I am all over this recipe. Thanks!